Shared networks can work remarkably well. Across the U.S., AT&T, Comcast, and Verizon are in a fierce marketing battle to offer fiber to new developments. 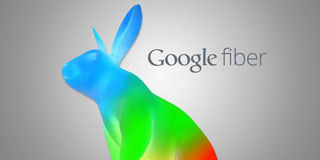 Table stakes now are a reliable gigabit network and premium TV offerings. 400,000 new apartments go up every year. They add less than 1/2 of 1% to the housing stock but are a prime growth market. I suspect there's a slight exaggeration here, but 97-99% would make most of us very happy. U.S. & U.K. government testing (SamKnows) have long demonstrated that most cable networks are darn close to 100% delivery. In 2014, FCC tests showed 95% of Comcast customers received between 109% and 119% of advertised upload speeds. Verizon planning business customers in 2017. 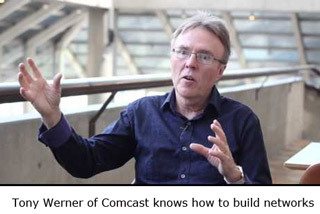 Vincent O’Byrne doesn't believe 10 gig down, 2.5 up is enough for Verizon's future. He has begun trials of 40 gig down, 10 gig up NG-PON2 with Calix and Adtran, with the intent to start purchasing within a year. 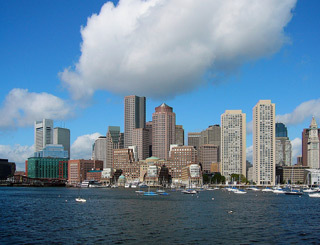 Boston's new fiber network would be a natural place for them; Verizon would be able to offer 10 gig inexpensively to the giant companies in Boston's financial district. The same gear will probably be natural for Verizon's 2018 test of 5G highband, which will need massive backhaul. mmWaves do not go far and will need cells every few hundred meters. The same gear will probably be natural for Verizon's 2018 test of 5G highband, which will need massive backhaul. mmWaves do not go far and will need cells every few hundred meters. Also called TWDM PON, the OLT delivers 4 wavelengths at 10 gig each. Calix says they can bond them, to deliver 40 gig to a customer. Singularity in half the U.S.? Cable is now 50/5 or higher for nearly everyone. The numbers from Leichtman are inescapable; Cable is clobbering DSL in the U.S. The question mark after "singularity" is only because this is a single quarter; another quarter or two and the death march will be almost irreversible. Telco broadband dying across much of the United States wasn't inevitable. DSL is still beating cable in Canada, England, and France. For several years, nearly everyone except a few top analysts and the companies involved thought cable was decisively knocking out telcos. I frequently pointed out that telcos were doing fine in about ~50M homes with faster DSL (AT&T U-Verse, millions at Century) or fiber (Verizon FiOS.) The losses were coming in the about ~25M homes AT&T and Verizon hadn't upgraded in a decade or more. They intend to shut down landlines for most of them, expecting to be more profitable because many would switch to their wireless. SDN is object oriented programming brought to telco networks. 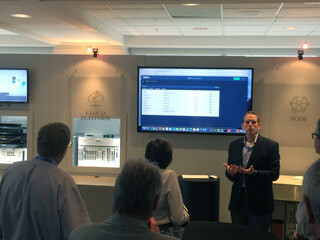 Adtran showed an impressive but still early version at their press event. Named Mosaic, it is already managing G.fast at trials in 65 telcos. The 40 gig NG-PON2 units Verizon is testing also run under Mosaic. From a single console controlling more than a dozen pieces of equipment, Adtran showed they can run "Configure, Deploy and Activate" on any of the boxes, not all of which are made by Adtran. Their Huntsville SDN demo was along a long wall. To the left of the picture was an 8086 type of Linux PC, about $5,000 worth, running ONOS and Adtran's Mosaic software suite. Underneath it were off the shelf boxes, 48x10G switches, 32x100G switches, and 16x10G PON OLTs. To the right of the monitor was an Adtran box running SHDSL; a 16 port G.fast box, 2 x 10 gig OLTs, 2 G.fast CPE, a carrier Ethernet unit, and gateways connected to the 10 gig PON. The switches were leaf and spine, from an obscure vendor in a white box. The controller could have been a thousand miles away in the cloud. 90% cheaper, Adtran believes. NG-PON2 is a high-end design that can use several frequencies for system performance up to 40 gigabits. Verizon intends to deploy to business customers in 2017 and presumably soon for advanced wireless backhaul, including the 5G build for Boston. Unfortunately, tunable lasers for the multiple frequencies are brutally expensive, as much as $1,000. Kevin Schneider, Jared Cress, and team wondered if a different design and volume manufacturing could bring NG-PON2 closer to mass deployment. 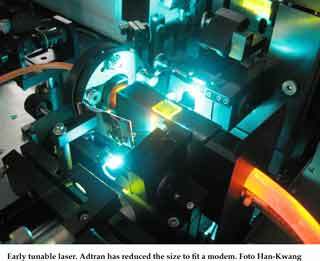 Tunable lasers have mostly been used for backbone and high-end gear, like dense wave division multiplexing. That market is less sensitive to price and volume too small for efficient manufacturing. Adtran promises, "An order of magnitude drop in costs." The new design gained credibility when Verizon made a point of including Adtran in a trial of NG-PON2 with a substantial order expected. Cable supplier Arris expects substantial sales of DOCSIS 3.1 modems starting early next year, which is consistent with Tony's prediction. Note that the high speeds are likely to be download only. Upload looks mostly to be 90% slower. 40 Million Comcast Gigabit Homes. Really. From Lantiq: Intel deal "is great"
Networks of the world, 2019. A first draft.